Honda WT40 is a heavy-duty 4” construction trash pump, specifically design for construction sites and other places where high volume of trash water is needed. It moves the most water (423 gal. 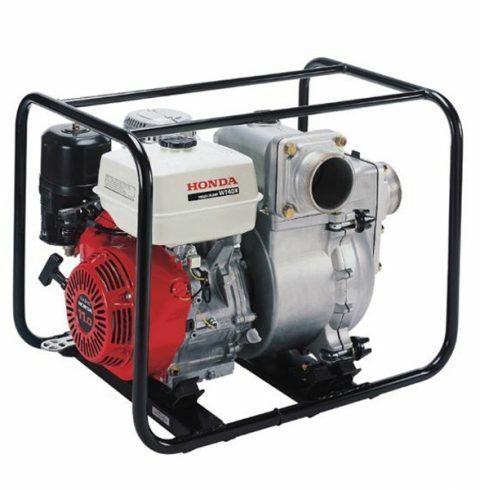 /min capacity) for the Honda water pump line-up; and comes with the Honda GX Series commercial engine that is easy to maintain, along with a heavy-duty frame protection and durable parts. 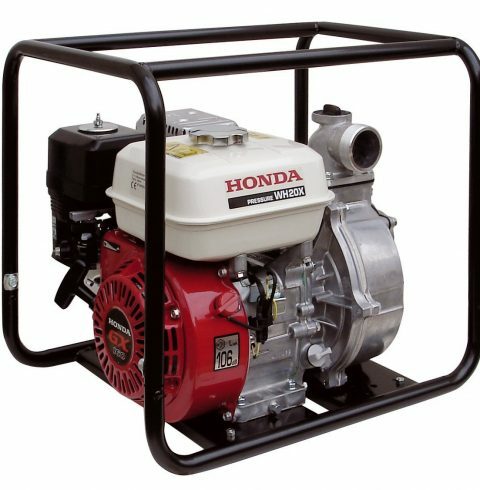 Built with similar tough parts as the WB20, this WB30 3” Honda water pump can be used for general purposes. The durable Honda GX series commercial grade engine guarantees not just great starting but also ample power for the toughest conditions. 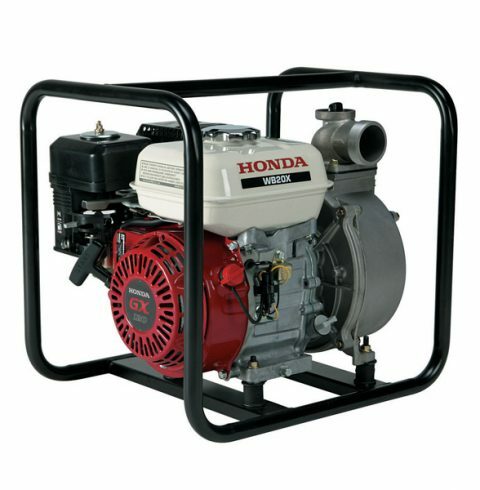 When we think of Honda products we think of durability and this 2” water pump represents this and much more. WB20 is built to last with its heavy duty frame protection, cast iron volute and durable silicon carbide mechanical seals. It is easy to start and is perfect for those tough jobs that require a little more high pressure performance. 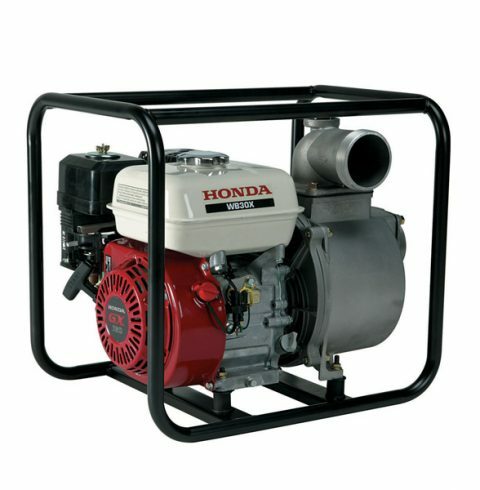 With a supply of 64psi, ideally for sprinklers or nozzles, the WH20 is another model of water pump (2”) created by Honda. It can be used for a variety of jobs that requires high pressure and its maintenance is easy. 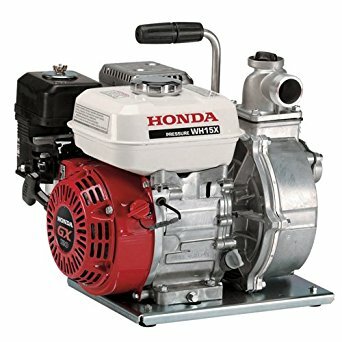 Honda WH15 Water Pump is a 1.5” high pressure pump that produces excellent results in irrigation or for pumping water over longer periods. It’s easy to maintain, start and transport. 186-7 Charlotte Street, Lacytown, Georgetown, Guyana. Copyright © 2016 Marics Co. LTD | Website Solution by GxMedia.